African tradition meets modern luxury at Imvelo Safari Lodge. 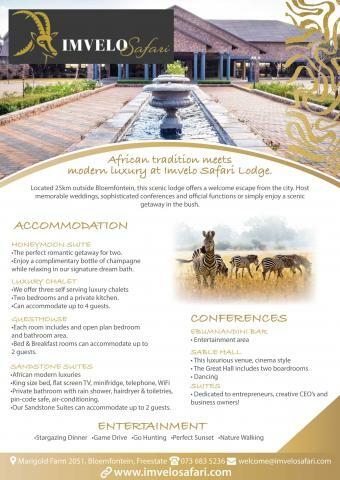 Located 25km outside Bloemfontein, this scenic lodge offers a welcome escape from the city. 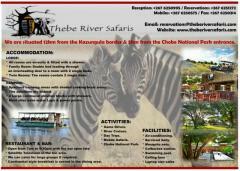 Host memorable weddings, sophisticated conferences and official functions or simply enjoy a scenic getaway in the bush. •The perfect romantic getaway for two. •Enjoy a complimentary bottle of champagne while relaxing in our signature dream bath. •Two bedrooms and a private kitchen. 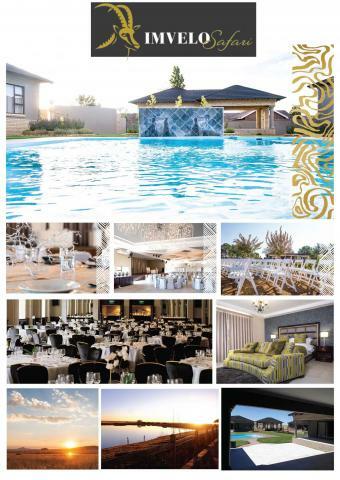 •Can accommodate up to 4 guests. •Each room includes and open plan bedroom and bathroom area. •Bed & Breakfast rooms can accommodate up to 2 guests. 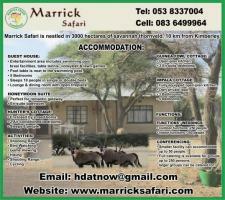 •Private bathroom with rain shower, hairdryer & toiletries, pin-code safe, air-conditioning. •Our Sandstone Suites can accommodate up to 2 guests.